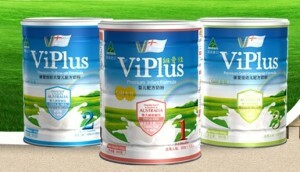 ViPlus, a renowned Australian manufacturer of milk products, including infant formula and milk powders, has announced a $50.4 million expansion that is set to generate 45 new jobs and enable the company to manufacture new product lines locally, including UHT milk and ice cream, and produce infant formula from raw milk. With the expansion, the company will boost production at its Toora factory – the oldest dairy factory in Victoria, Australia – from 10,000 tonnes of milk products produced per annum to 30,000 tonnes of milk products produced per annum. As part of the expansion, the company will implement numerous water saving initiatives and construct a wastewater recycling plant that will allow up to 70% of the site’s wastewater to be treated so it can be suitable for irrigation. The plant will also be powered by a gas fuelled co-generation system that will produce 1 megawatt of electricity and thermal energy, reducing the boiler steam load and pressure on the grid. According to the media release by the Premier of Victoria, the Victorian Coalition Government will invest $1.5 million to support the expansion. The investment was announced by Deputy Premier and Leader of The Nationals Peter Ryan and The Nationals Member for Eastern Victoria Region Danny O’Brien. The Government’s investment will be provided through the $1 billion Regional Growth Fund, and is the 38th project to be supported by the Regional Growth Fund in South Gippsland. “This will create 45 new full-time jobs here in Toora, which for a town of this size will deliver major economic benefits to the community. A further 70 jobs will be created during the project’s construction phase, another win for Toora and South Gippsland more broadly. It will also provide strong support to local dairy farmers who supply the factory, and create even more new jobs on-farm and in supply chain businesses across the region,” said Mr Ryan. According to Mr O’Brien, the investment further demonstrates the Victorian Coalition’s Government ongoing support for local dairy processors.